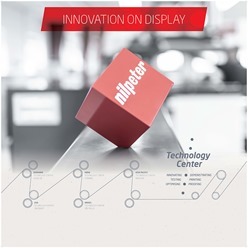 Nilpeter’s state-of-the-art Technology Centers in Denmark, the USA, Thailand, Brazil, and India serve as the perfect showcase for groundbreaking ideas and innovations. 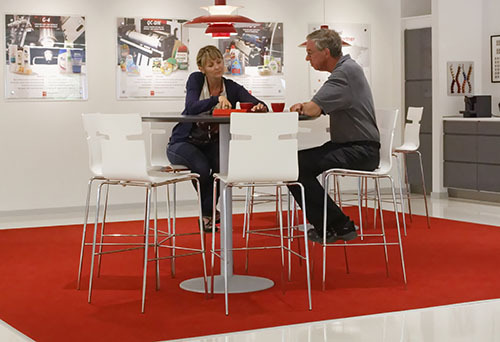 A place, where ideas, advances in technology and the benefits they bring, are presented in an organised, end-user environment – and where you get behind the ropes and get hands-on experience. 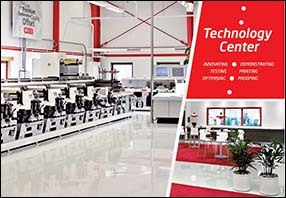 The Technology Centers host a large space for operating presses, a well-equipped prepress area, customer lounge, as well as training and meeting rooms - in total, more than 750 square meters of sophisticated facilities. … and a number of different auxiliaries for different applications, such as de-/relamination, turnbar, stretch module, etc. Along with the presses, the showcase offers a complete LEAN-manufacturing setup, and by providing a wide variety of test runs, stop-motion tests, and unique integrated applications in a true end-user environment, along with scheduled demos of labels and flexible packaging, the Technology Centers will show how individual, or combined technologies can solve concrete problems in new and profit-optimising ways. Defining what is the highest possible printing quality at lowest possible cost and effort requires a proper proofing setup. Nilpeter has made an agreement with x-Rite Pantone, who is the leading global supplier of proofing equipment in the graphic industry. The purpose is to take the subjective opinion of the printer or viewer out of the equation and deliver colour matching as precise as the register on the machines.